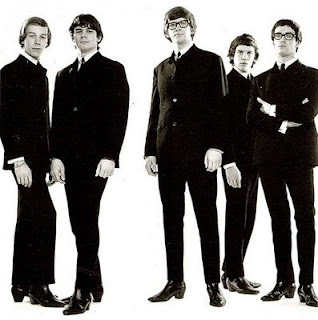 The Zombies (image credit) remain one of the most underestimated bands of the sixties. Rod Argent's jazz and classical music influenced organ play combined with the unique voice of Colin Blunstone has given us classical songs such as She's not there (later successfully covered by Santana) and their 1967 masterpiece Time of the season. This song has some quite unusual influences (certainly for that time), with a dominating African-style beat and instrumentation, and great jazzy organ sounds. Also the lyrics are special in their cynical way: "What's your name, who's your daddy - is he rich like me?"